Narelle Casey from Peter Blackshaw Real Estate accepts the Community Service Award, dedicating the achievement to the late Rhys Summergreene. Photo: Supplied. 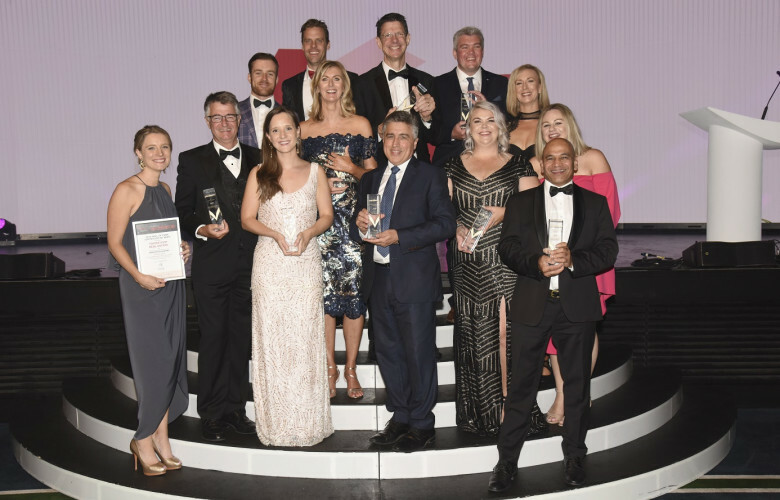 ACT firms have shone at the Real Estate Institute of Australia’s 14th National Awards for Excellence held in Perth, taking out four categories. 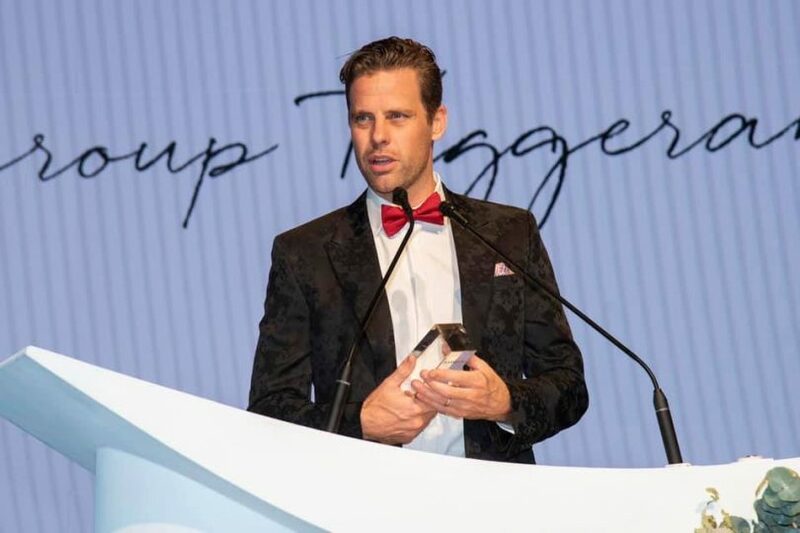 Independent Property Group Tuggeranong won the Innovation Award; Colliers International (ACT) took out two awards, including Commercial Agency of the Year and Commercial Property Manager of the Year in Rupert Cullen; and Peter Blackshaw Real Estate won the Community Service Award. IPG Tuggeranong principal Will Honey said it was an absolute honour for the firm to be recognised nationally. Will Honey from IPG Tuggeranong said it was an honour for the firm to be recognised nationally. Photo: Supplied. “We are a great team who have worked hard for many years, pushing the status quo to improve not only the service we provide to our clients, but to improve the industry as a whole,” he said. Colliers International State Chief Executive, Paul Powderly said the results demonstrated the continued strength of the ACT property sector and its attractiveness as a place to live. “Canberra continues to grow and more and more people and businesses are calling the Territory home. In just the past few days Canberra once again topped a list of most liveable capital cities,” he said. “I would particularly like to commend the entire Office Leasing and Capital Markets and Investment Services teams as well as Rupert Cullen on his individual win. “Our team approach to tackling client problems and our dedication to providing exceptional service helped us stand out among our peers. Peter Blackshaw Real Estate principal Andrew Chamberlain, who attended the ceremony with Narelle Casey, said the Community Service award was in recognition of the team’s charity donations and volunteer work that had been largely led by Rhys Summergreene, who succumbed to cancer in January. He said Mr Summergreene was diagnosed with an aggressive cancer about 16 months ago and rather than dwell in self-pity had decided to help as many people as he could. “It really was an inspirational journey that made a difference to a tremendous number of people,” Mr Chamberlain said. “The award means a lot, particularly to the people in our Tuggeranong office where he worked. Mr Chamberlain said the award recognised the contribution made by many people across the organisation but it was special because of Mr Summergreene’s particular contribution. The organisation raised more than $187,000 in charity donations and delivered 2264 hours of volunteer work. 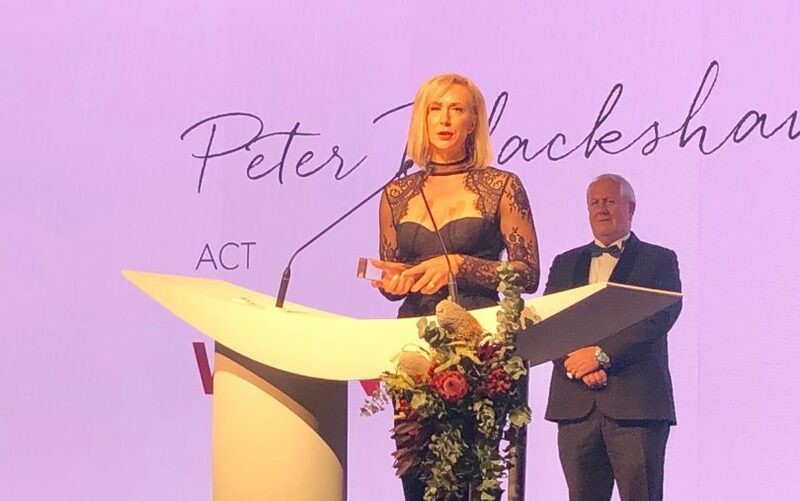 The recipients of the 2019 Real Estate Institute of Australian National Awards. Photo: REIA.